At 4.37 a.m., on the 2 September 2016, a magnitude 7.1 earthquake struck off the northern East Coast of North Island, 125 north-east of Te Araroa. 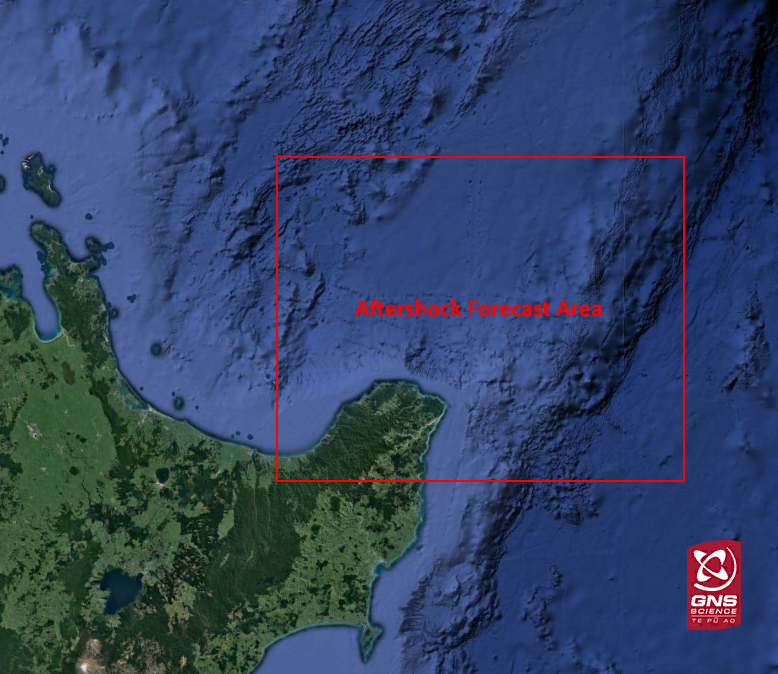 More than 4,711 people filled in a felt report in the first hour of the earthquake, from the Chatham Islands to Christchurch on the South Island. The earthquake generated a small (30 cm) tsunami on our tidal gauges (link). Damage was minimal to the closest towns near the earthquake, because the earthquake was so far away from land. We’ve been taking a good look at what’s been going on around the East Cape since last Friday’s M7.1 earthquake. At GeoNet, one of our jobs is to put together an operational earthquake forecast about what we think will happen next (with help from our GNS Science friends down the hall). So we’ve developed three scenarios based on what we know so far. There are very different probabilities for each scenario; some of these are more concerning than others. We recognise that while these scenarios may increase anxiety in people living in the area of the north-east corner of New Zealand, the best thing is to be prepared. Remember: If you feel a long or strong earthquake and you are on the coast, evacuate immediately. The most likely scenario is that aftershocks will continue to decrease in frequency as expected (and in line with forecasts). Aftershocks of the M7.1 earthquake will continue to be felt in the East Cape area. This includes the potential for aftershocks of between M6.0 – 6.9 (50 percent chance within the next 30 days). A similar earthquake occurred on Waitangi Day 1995 (M7.1) just to the south-east of the M7.1 East Cape earthquake; that particular earthquake had felt aftershocks which continued for more than two years. An unlikely scenario is another quake between M7.0 – M7.9. This earthquake may be onshore or offshore but close enough to cause severe shaking on land. Also there is a possibility of an earthquake either north or south of the M7.1 mainshock area e.g., in the Hikurangi Subduction Zone. Such large earthquakes have the potential to generate tsunami. A much less likely scenario than the previous two scenarios is that recent earthquake activity will trigger a significantly larger earthquake (M8 or greater). This scenario is very complex and when combined with the current uncertainty in our models, we can’t confidently put a probability estimate on it occurring. However, even with such a large “triggered” earthquake on the 'plate interface' (where the Pacific Plate meets the Australian Plate) being very unlikely, we cannot discount the possibility. This scenario is similar to what occurred in the Tohoku Earthquake in Japan in 2011. Although it is still very unlikely, the chances of this occurring have increased slightly since the M7.1 earthquake. Issued at noon, 12 September 2016 for coming month. It is unlikely (32% probability) there will be a magnitude 6.0-6.9, and we expect that there will be between zero and two earthquakes of this magnitude during the coming month. It is very unlikely (4% probability) there will be a magnitude 7+ earthquake within the next month. The forecast starts from noon 12th September 2016 and is for the region of the upper East Cape and offshore (see map).